The Spring Equinox is just around the corner and there is no better time for a spring cleaning or detoxification of body and mind. Although there are many ways to detoxify, Kundalini yoga, meditation, and Ayurveda are sister sciences that get the job done. Who is Spring Detox & Renewal For? 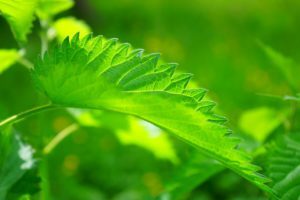 This workshop is ideal for anyone who wants to learn how to use natural remedies, yogic postures, meditations, mantra (sacred sound) for cleaning the body and mind of a build-up of toxins with safe and natural tools and techniques. Beginners are welcome and no prior yoga experience is required. Please try not to eat 2 hours before the workshop. Bring a mat, blanket, and wear loose fitting clothing. Where is the Location of the Workshop? with Kundalini Yoga, Meditation, and Ayurveda. Experience the benefits of practicing first hand. The most important relationship you have to work on is the one you have with yourself. Building love and compassion for yourself is like putting on your own oxygen mask first in a plane. Pam and Anne will lead you in Kundalini yoga kriyas (series of yoga exercises) designed to open and balance your Heart and open you up to opportunities the Universe has waiting for you. Ayurvedic samples to take home. Community Sharing on Beautiful Camano Island, just a short walk to the water. Pamela Nixon (Nirmal) has been a KRI certified Kundalini Yoga teacher since 1998. 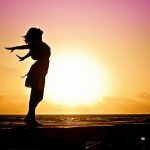 She has advanced training in yoga, yogic healing techniques, yoga for addictive behavior, sound healing and Ayurveda. She has had the grace to sit at the feet of enlightened teachers and feels very blessed to share the technology of yoga, meditation, Ayurveda and healing with her students. Her studies of consciousness and meditation continue through the teachings of Yogi Bhajan, Ph.D., and other masters. Pamela is also certified in SuperHealth and is a member of the International Kundalini Yoga Teachers Association. 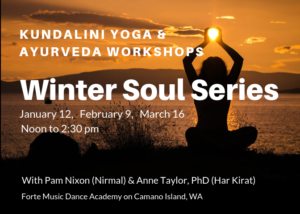 Anne Taylor, Ph.D. (Harkirat) has been a KRI certified Kundalini Yoga teacher since 2009 and has been teaching at the Way of Life Wellness Center in Issaquah and Camano Island, WA. Anne is the founder of HowToRelieveStressNaturally.com. Read more about Anne here. Pay here online or at the door. Space is limited. Come and experience Kundalini Yoga and Meditation, and learn how Ayurvedic Medicine can help alleviate the winter doldrums. 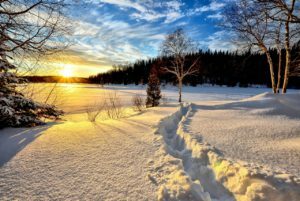 The darkness during this time of year affects many of us, from the confines of cabin fever to the winter blues. In Ayurvedic terms, this is Vata season. Vata is one of the three doshas or functional energies occurring throughout nature. Vata is ruled by air and ether and affects movement and communication. Think of light, wind, cold, and clear–Vata Season. 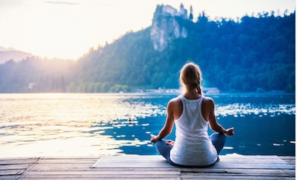 Kundalini yoga and Ayurvedic Medicine are sister yogic sciences that know how to bolster you against the effects of cold and windy Vata energies. 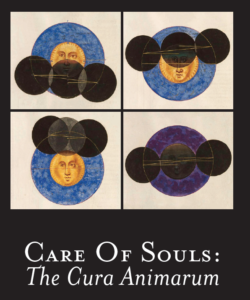 Jung once referred to the psychological drive to individuate as “the Kundalini,” an ineffable quality within the human psyche-soma that draws us beyond the limitations of our will and onto our unique evolutionary path. By understanding the potency of Kundalini, we call forth the internal feminine and move towards individuation. Anne Taylor holds a Ph.D. in Mythology/Depth Psychology from Pacifica GI, and a B.S. in Biological Sciences from SUNY. She is an independent researcher and founder of metaHeartCenter.com, a platform for healing the heart beyond the pump. 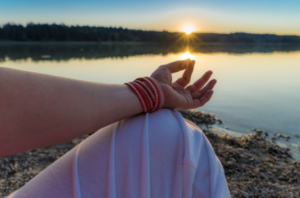 Through Kundalini yoga exercises (kriyas), meditation, chanting (mantra), hand positions (mudra), and pranayam you will gain the tools and technology for managing stress real time, in the moment that it is happening. 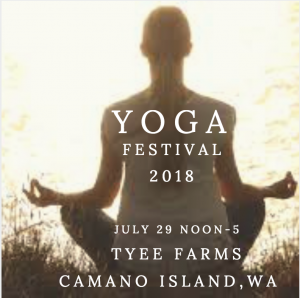 Beginning August 25th, 2018 at 8:30 am (Pacific Time) and the following 5 Saturday mornings we will be practicing Kundalini Yoga on beautiful Camano Island, WA at the Forte Music & Dance Studio. Classes will be recorded live and available if you miss one or more.